As of January 2011 the Royal Oak Historic District Study Committee is doing a report on the Baldwin Theater. If anyone has photos or information they would like to pass along it would be greatly appreciated. Contact member Tammis Donaldson. Cinema Treasures has a few facts wrong, the theatre was built and opened as the Baldwin, ergo the B&W picture here on WWW. It was renamed the Washington in 1936, after the street on which the entrance was located. 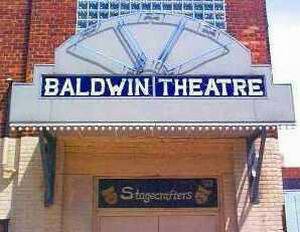 The theatre was renamed the Baldwin when Stagecrafters took it over in 1985. They saved it from the wrecking ball, there were forces in Royal Oak that wanted it gone, and they came in and saved the building, and have done a fine job of operating it with their shows. From Gary: Thanks John as always!. I worked as an usher at the Washington Theatre in the early seventies and have been in exhibition every since, with General Cinema and AMC Theatres. Do you have any interest in a photo of the Washington taken just before it was razed and converted into the Baldwin? It is an exterior shot taken in 1984 showing the early stages of the demolition that preceded the renovation. Opened in 1922 as the Washington, this theater could seat over 1000 and contained an organ. It was designed by Frederick D. Madison. 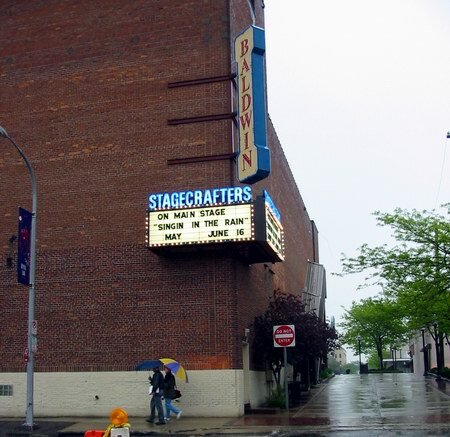 The Washington remained a second-run theater into the early 80s, until it was acquired by a local theater group called Stagecrafters and renamed the Baldwin. 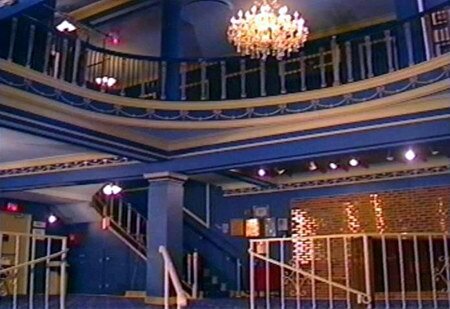 Seating was reduced to 391 and the old movie house renovated as a venue for live theater, as it has remained since. 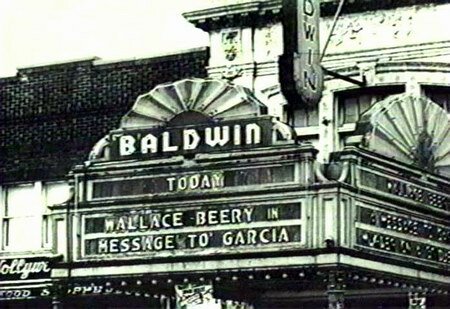 The Baldwin contains a main stage, a smaller second stage, and in addition to plays and musicals, presents children's theater and also hosts occaisional organ concerts and other special events. Cinema Treasures Link.